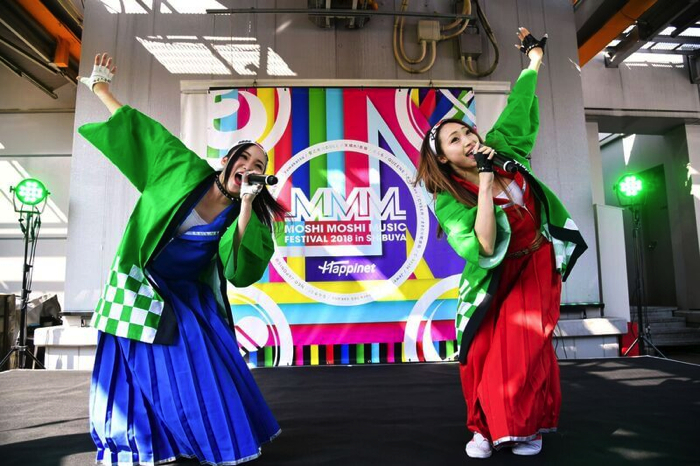 MOSHI MOSHI NIPPON FESTIVAL 2018 in SHIBUYA delivered Japanese culture to the world from Shibuya. 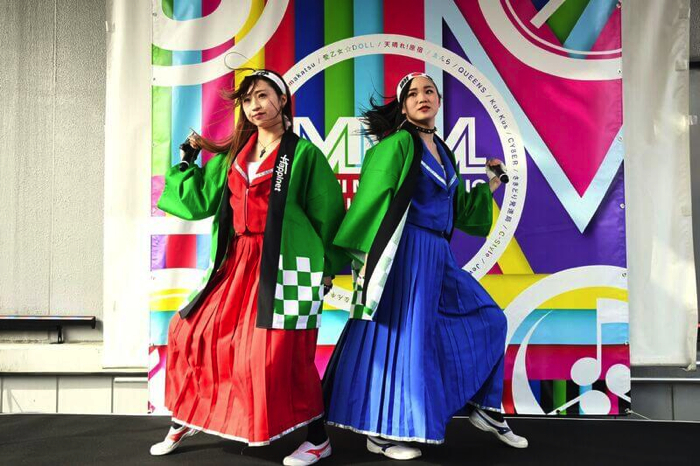 The event saw 16,000 people attend across the two-day period to experience a new kind of Japanese festival. 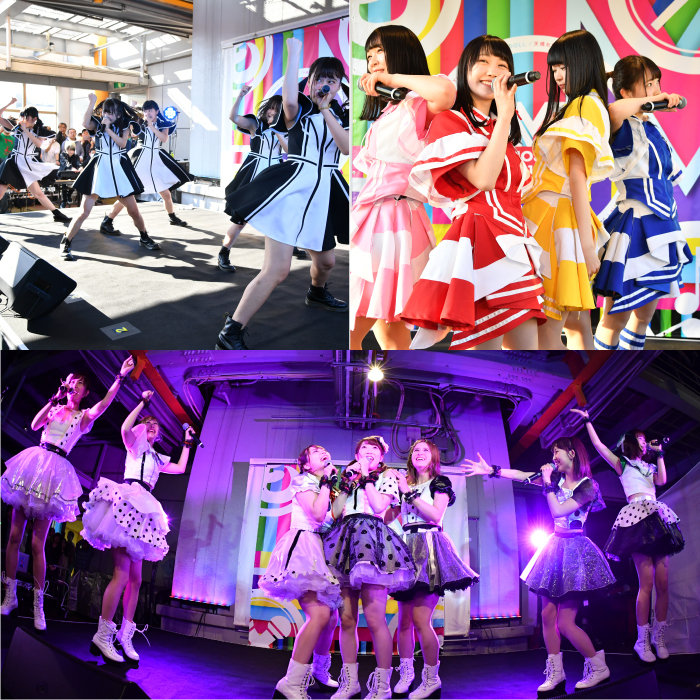 This report will cover the Featuring Japanese new music “MOSHI MOSHI MUSIC FESTIVAL” event that took place at SKY GARDEN on the rooftop of Tower Records Shibuya, a place which which has built a history of music in Shibuya. 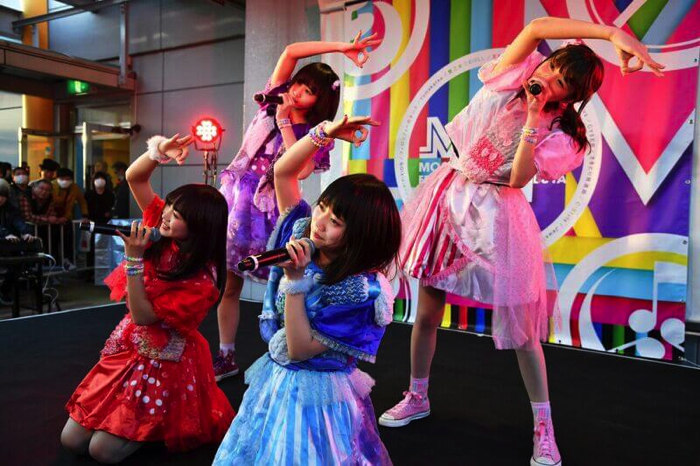 Idols are one aspect of Japanese culture that Japan can boast to the world. 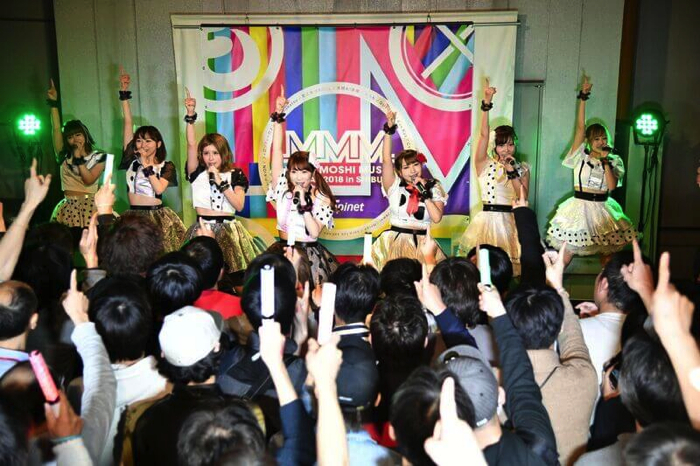 The event showcased a line-up of idols groups that MOSHI MOSHI NIPPON (MMN) want to introduce to the world. 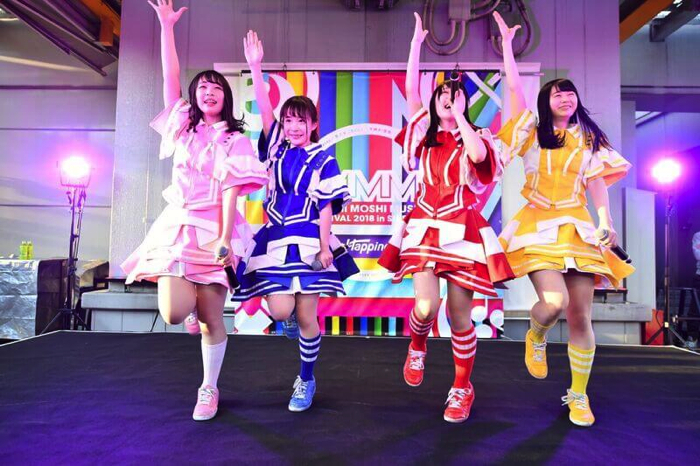 Let’s take a look at the idol stage which was packed full of Japanese ‘kawaii’! 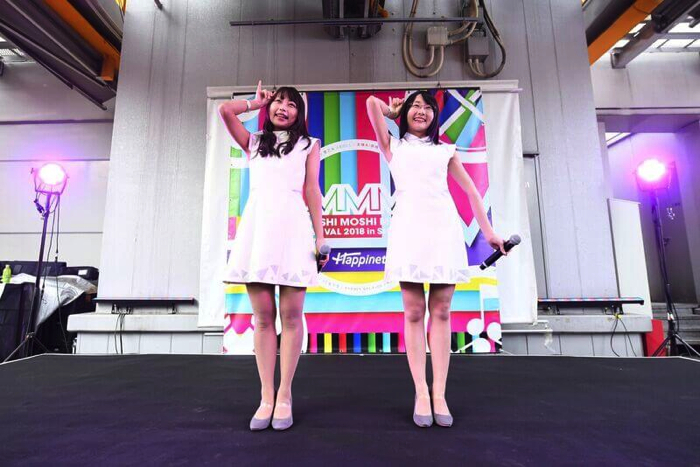 Kicking off the performances on Day One was two-member idol unit C-Style from the city of Kisarazu. They left a strong impact on the crowd dressed in red and blue sailor outfits and donning sunglasses. Next was another two-member unit, Kus Kus. Their perfectly coordinated choreography captivated the audience as they danced to the tune of easy-listening electro pop. Wyenra were the third act. If you were to divide shadows and sunshine they are a group who certainly bring the ‘shadow,’ wrapping the crowd with the dark side of springtime weather. The fourth group were dancing rock idols QUEENS. Wyenra debuted this year on February 10th while QUEENS debuted on January 31st. You would never know these groups had formed so recently with their magnificent performances. As the sun started setting on SKY GARDEN, Jewel☆Neige stepped onto stage wearing dazzlingly beautiful white and silver outfits. The audience made a huge display of their excitement with the group’s unshakable performance. Act number six was 5-member group CY8ER. 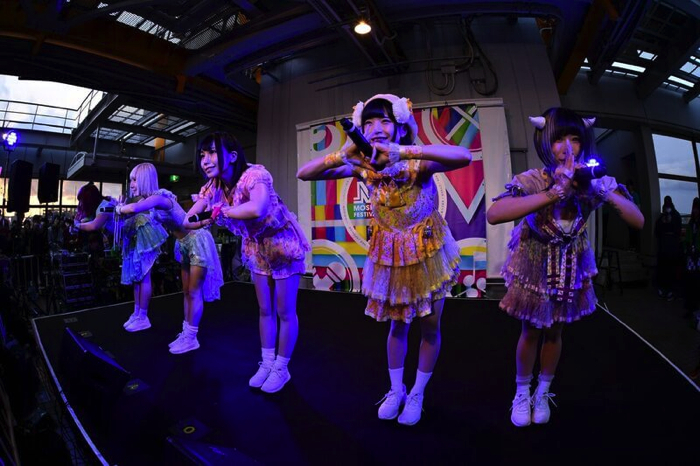 There was a sense of mutual elation with everyone gathered in the crowd with the group’s Japanese-esque-incorporated future bass songs with easy choreography that even first-timers seeing the group could copy. 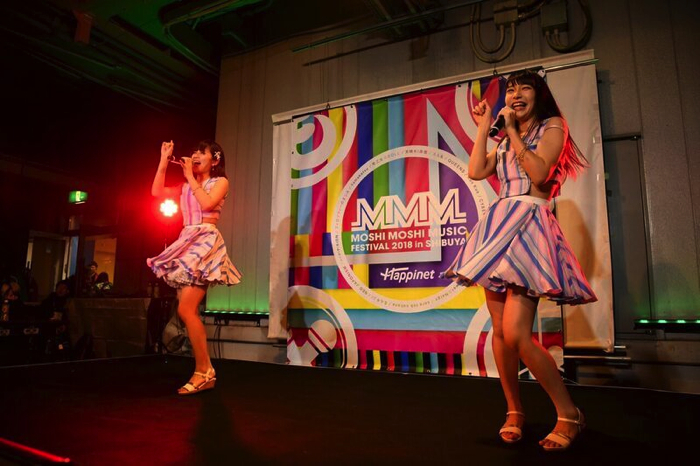 The seventh group on stage was Nankini! Unfortunately, one member was unable to make it, but the remaining two put on a thrilling performance with everything they had. If you wanted to see them three of them together then be sure to check out another one of their events. 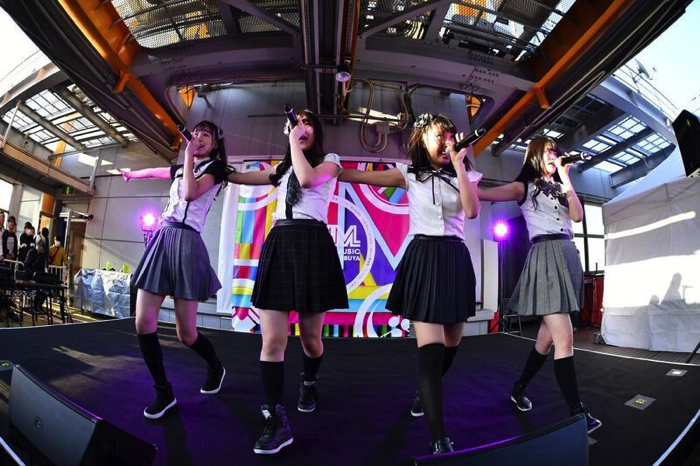 The final idol group of Day One was Yamakatsu whose fired up performance also had the people in the crowd psyched and singing as they wrapped up the day with the right amount of exhilaration. The top batters for Day Two were C-Style once again. For the second day the members wore special green happi coats which had the Japanese character ‘mo’ (も) on the back. 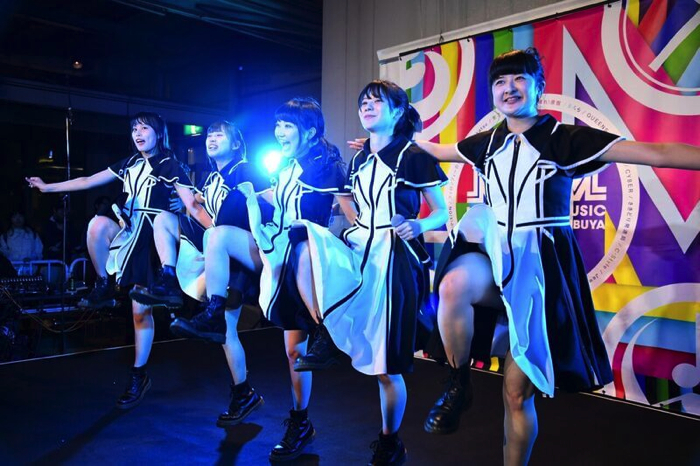 Following them was NEO JAPONISM who made their debut in December 2017. Their ‘neo’ sound had the crowd pumped. Their outfits had a mode taste to them and incorporated a traditional Japanese style which looked pretty even on an outdoor stage. Act three was Yamakatsu who also performed on Day One. They put on a galvanizing performance to even more people this time. And although they didn’t perform it on this day, people are looking forward to their new single distopia set to hit shelves on April 17th. Next was The Dance for Philosophy for which over 400 people turned up to the roof. The group wowed the packed venue with their funk numbers and outstanding vocal abilities. PPP!PiXiON were next to grace the stage. 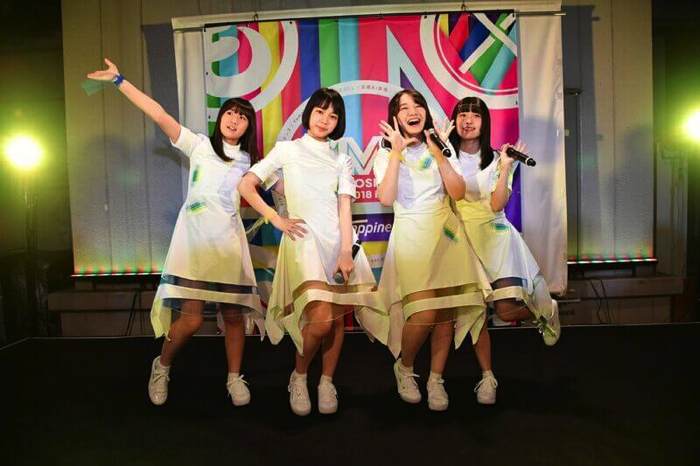 Despite one member graduating from the group leaving them with four members, there was some serious support from the fans as each of them put on an energetic performance. 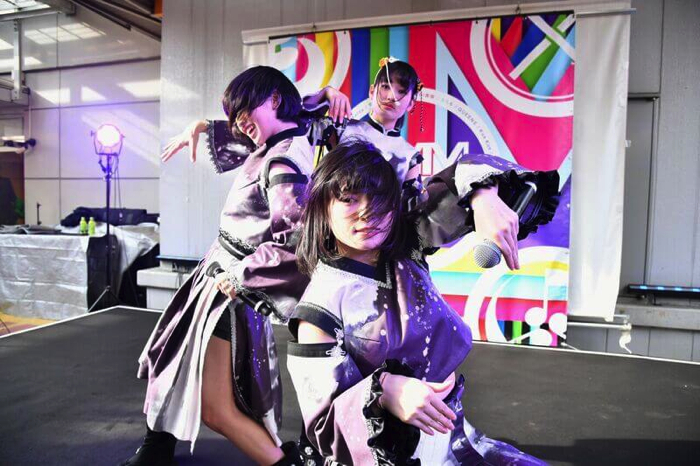 Sakidori Hasshinkyoku who went on stage as the sixth act began their performance with their song Karimen Destiny which was released in February. They wrapped up their setlist with their staple track Gimirepa and brought much excitement to the floor. Following them was APPARE! Harajuku who are tied to the same studio as Sakidori Hasshinkyoku. 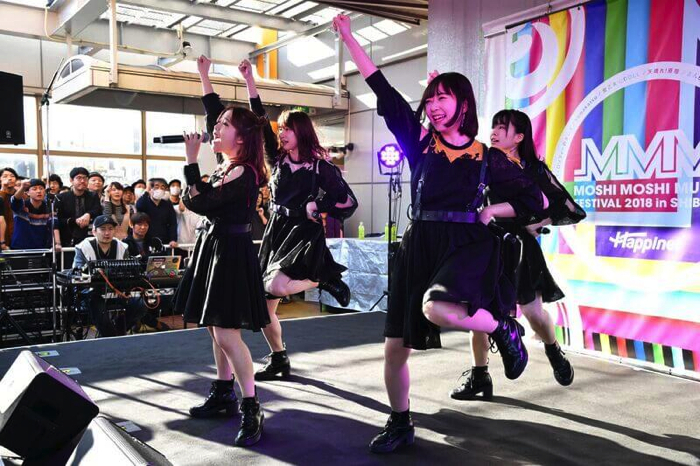 Their setlist also inevitably livened the atmosphere, and their final song Harajuku Sunny Day had the crowd so pumped as if the building was going to fall down. 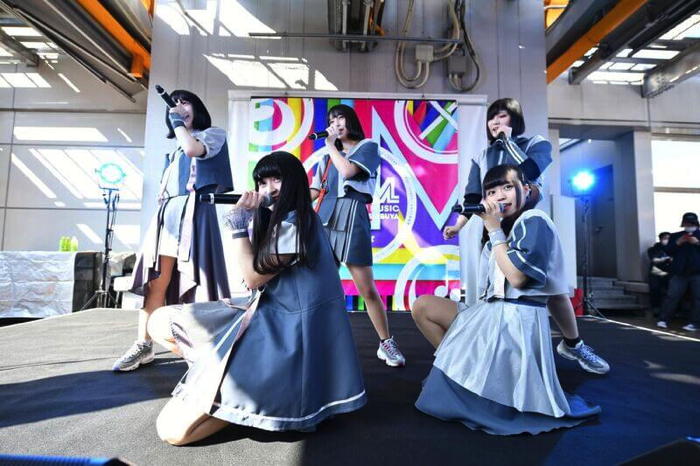 As night turned and the rooftop turned to black, the progressive sound and singing abilities of the four members from sora tob sakana established their style as unique – even in the idol world. 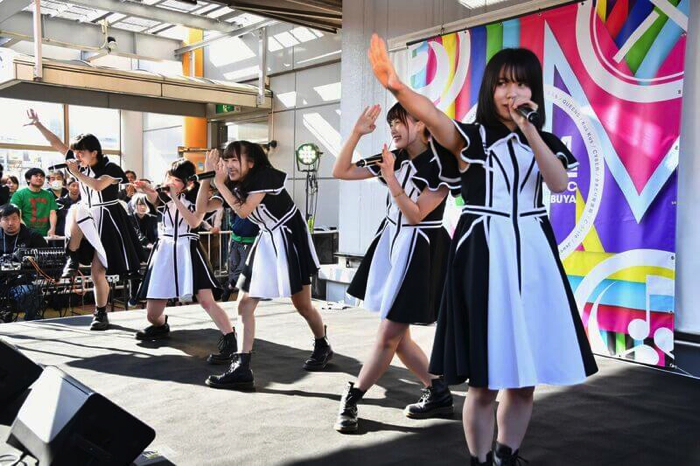 Pulling the curtains shut on Day Two was idol group Lovely Doll. The performance from the seven members was the kind of performance you’d expect from such a seasoned group. They finished up Day Two with Calendar Girl which was voted as the number one most popular song amongst fans.